A police officer in Georgia was gunned down while in the line of duty and a manhunt is underway for his killer. 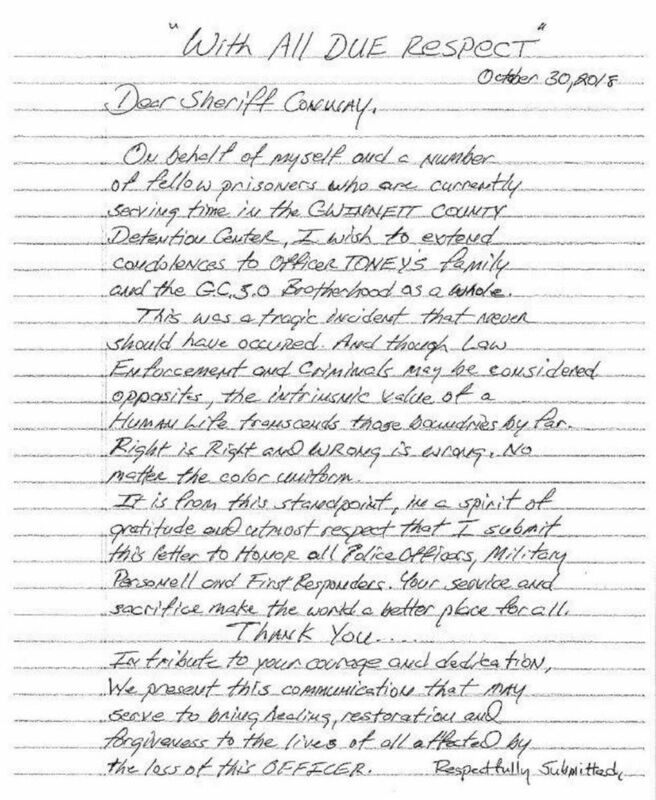 In an unusual move, inmates at the local jail sent a "heartfelt" letter to the sheriff supporting and thanking the officers for their service. 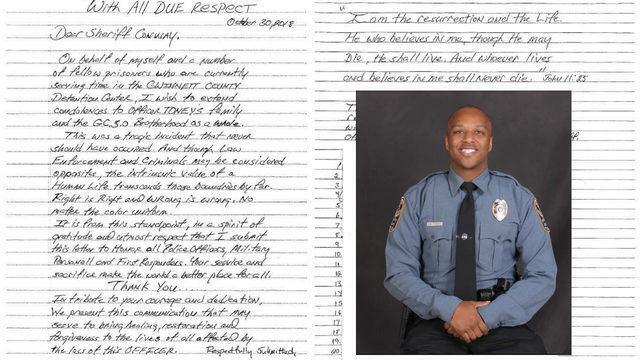 The officer who lost his life is Gwinnett County Police Officer Antwan Toney. Officer Toney was allegedly killed by 18-year-old Tafahree Maynard who has been on the run from the police for two days before he was finally captured. Maynard was found hiding in a shed armed with a lawnmower blade after an extensive two-day manhunt. 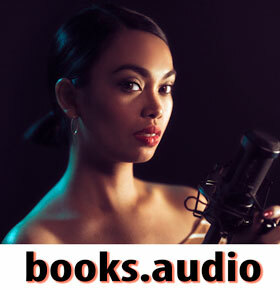 Maynard refused to surrender and police shot and killed him. The inmates behind the letter describe themselves as "a group of Christian men who wish to express heartfelt condolences to Officer Toney's family and all Gwinnett County staff." The letter continued, "This was a tragic incident that never should have occurred. And though law enforcement and criminals may be considered opposites, the intrinsic value of a human life transcends those boundaries by far. Right is right and wrong is wrong. No matter the color uniform." Who's the knee Ghir writing these headlines?